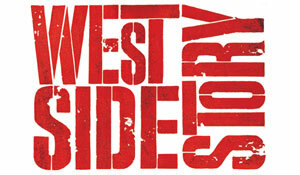 Grammy Award-winning Broadway smash hit, West Side Story made its grand debut at the Cadillac Palace Theater in Chicago on Wednesday July 20th, 2011 for its four week only run. The limited engagement has already received an overwhelming response from theatergoers so be sure to get your tickets now: http://tinyurl.com/5vu7zov%20 . Based on the 1957 Broadway spectacular by legendary two-time Tony Award-winning librettist Arthur Laurents, the captivating adaption of the sensational production has been recreated by David Saint and features the score by Leonard Bernstein (music) and Stephen Sondheim (lyrics) with the original Jerome Robbins choreography brilliantly reproduced by Tony Award-nominee Joey McKneely (The Boy From Oz, The Life). This beloved classic embellishes the beauty and innocence of young love and the conflict between two street gangs; the Jets and the Sharks who are in a constant battle over power, influence and territory. Racial difference is the division among the two teenage gangs and intolerance and hatred spews their distaste for each other. 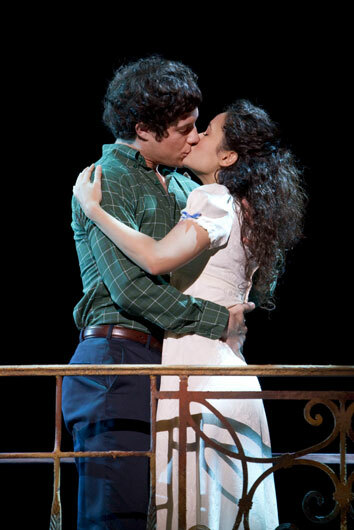 Things go haywire when the gorgeous and carefree Maria, a Puerto Rican falls in love with Tony, one of the Jets at the school dance. Her brother Bernardo is the leader of the Sharks. This affair proposes an extremely difficult situation for the two lovers eventually tearing them apart in an unfortunate finale. 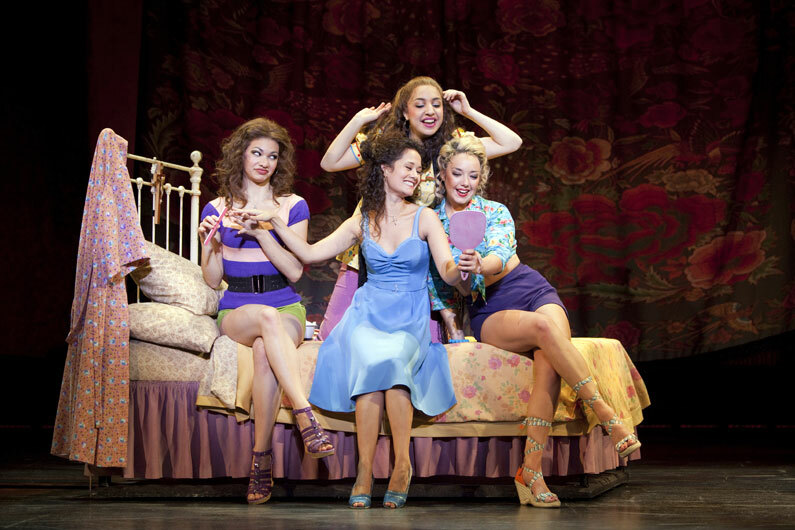 American musical theatre’s finest songs such as “Something’s Coming,” “Tonight,” “America,” “I Feel Pretty” and “Somewhere” are brought to life through the dynamic vocals of the renowned cast of seasoned actors. 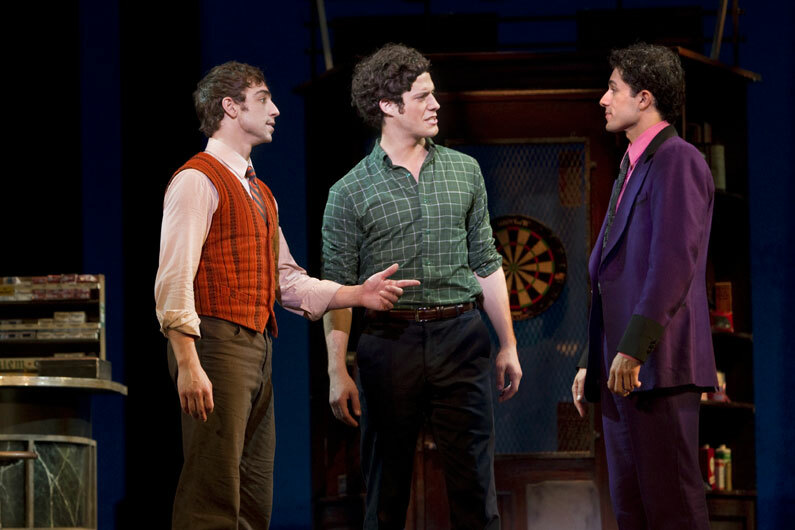 I was greatly impressed by this musical to the fullest. The intriguing dialogue, exceptional singing, show-stopping dance numbers, live orchestra and breathtaking set design completely captivated the senses while the intense action of the fight scenes left you on the edge of your seat. This musical is recommended for ages 13+ as some of the scenes and language are not suitable for younger children. 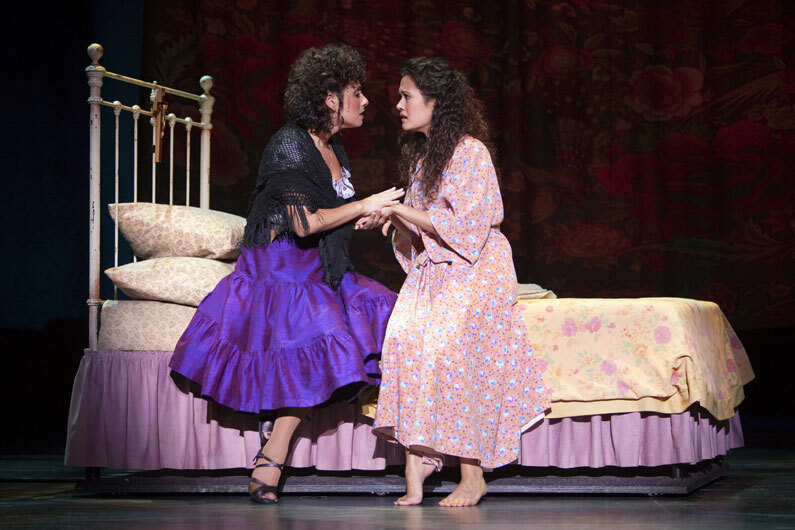 Don’t miss West Side Story in Chicago at the Cadillac Palace Theater playing now until August 14th. We’d like to once again thank Korshak PR and Broadway in Chicago for the privilege to attend the opening night performance.